of a mandatory public school uniform policy! is an abuse of power by public school authorities and unconstitutional. their right to not participate in a mandatory public school uniform policy. violates the First and Fourteenth Amendments to the U.S. Constitution. which includes protection from the state itself. failed to demonstrate that the shirt disrupted school activities. to a public school education, and that right cannot be conditioned upon compliance with a uniform policy. Some parents and children will have religious objections to uniforms. Others won't want to participate for aesthetic reasons." 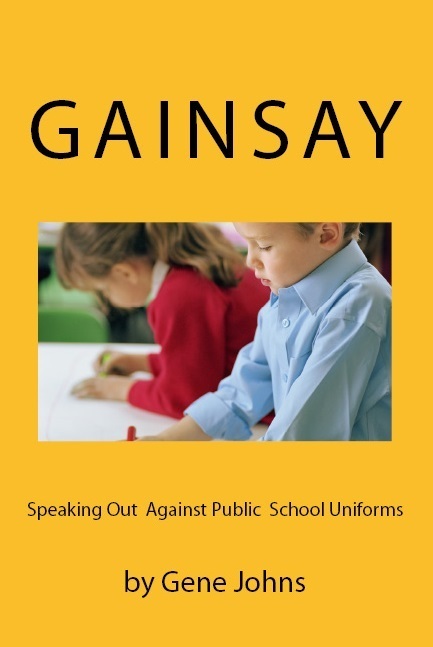 do what supporters of a school uniform policy say it does. defending at all hazards; and it is our duty to defend them against all attacks." freely to be expressed. The agitation it produces must be submitted to."